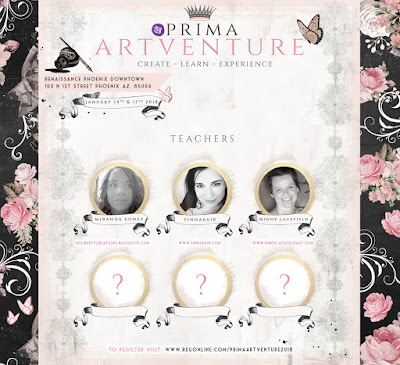 Mindy Lacefield: Prima Art Venture! If you have never attended this event, it does NOT disappoint. Oh I almost forgot to mention....all the swag!! Prima really piles on the goodies, mixed media (and yes now watercolor goodies). Be sure and bring an extra suitcase for all the product! !